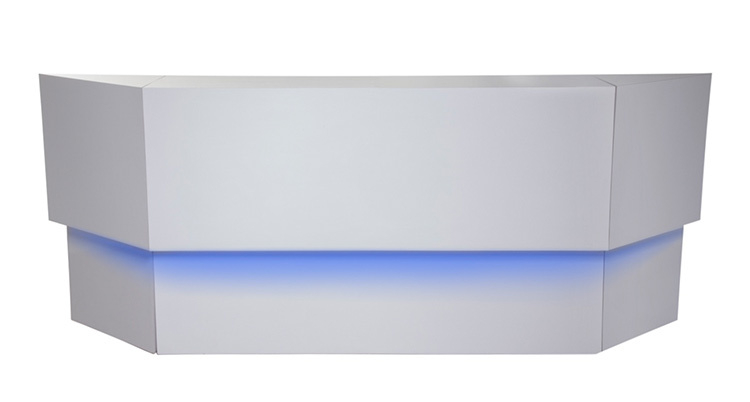 The Hover Bar is a custom-designed bar with a high gloss lacquered finish and wireless LED lighting which can be set to any color to match the dècor of your upcoming event. The Hover Bar also includes a shelf for stocking. The Hover Bar is also one of the components of the Hover Bar Grouping.